The Korean restaurant serves up new items on the menu. 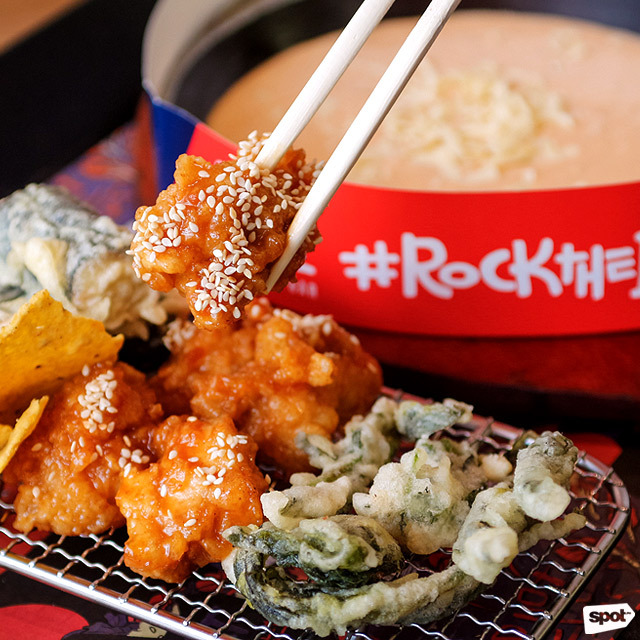 (SPOT.ph) Rock & Seoul at SM North EDSA welcomes the new year with four new and exciting items. 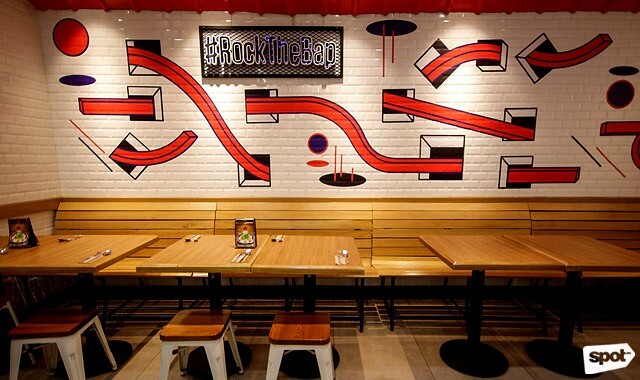 Known for their Signature Bibimpaps, this quirky Korean restaurant tries a few things with more rock and less Seoul this time around. 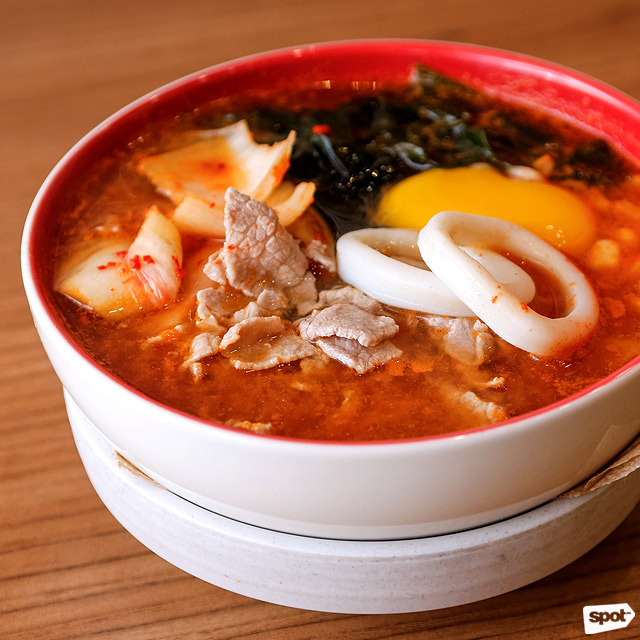 The most Seoul-ful of the group, the Ramyeon (P249), is Rock & Seoul's delightful take on the classic Korean dish. Even if you’re not the biggest fan of spicy food, this rich broth with corn, sirloin beef, squid, and seaweed might just change your mind. That first spicy sip can be intimidating. You’re bound to think “this is too much,” but then you’ll take another sip. And another spoonful. Before you know it, it will be all gone. The Big Boy L.A. 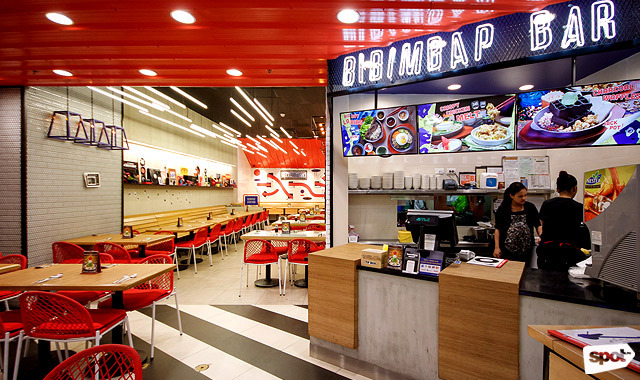 Ribs (P395) is the restaurant's version of samgyeupsal, which is normally made of thin slices of grilled pork belly. 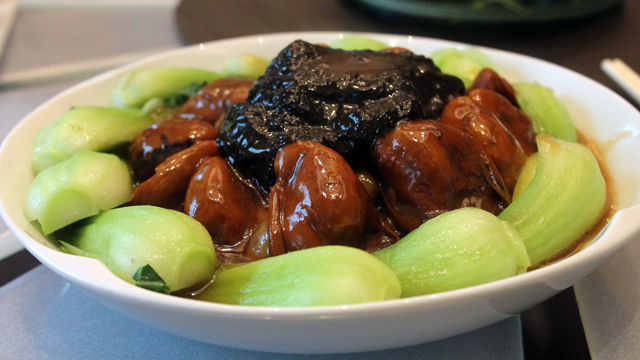 They use a not-so-thin slice of pork ribs with a slightly sweet and salty flavor. 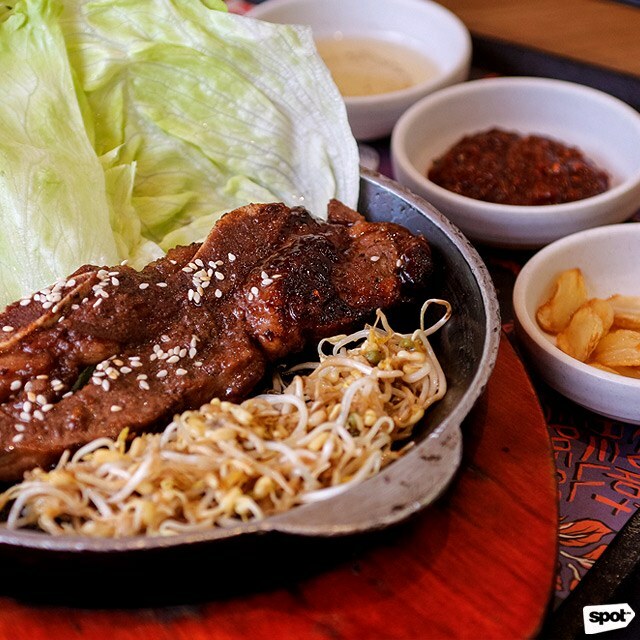 You take a slice of the pork, wrap it with the lettuce leaf with some toasted garlic, gochujang (Korean red bean paste), and bean sprouts, then dip it in sesame oil. 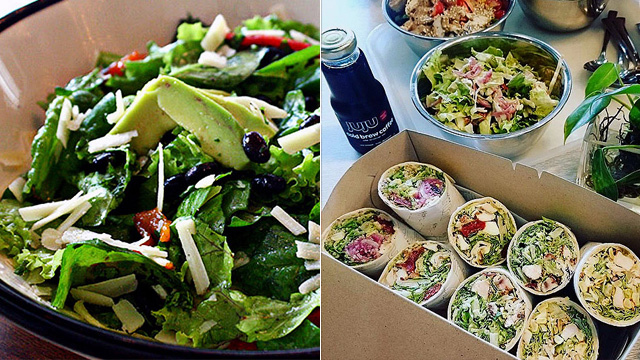 You’ll feel like closing your eyes to savor every bite because it’s just that good. The ribs are perfectly tender and the harmonious blend of all the flavors is very satisfying. If you’re like us and you’ve spent countless hours looking at videos of melted cheese dishes on Facebook, then this next dish will get you excited. Spiked with a hint of Korean bean paste, the Cheesy Fondue (P395) is the stuff dreams are made of, the creamiest of creamy cheeses. The dish arrives as glorious melted cheese served with nachos, crispy spinach, Korean fried chicken, and Kimcheese (their version of fried crabmeat maki). 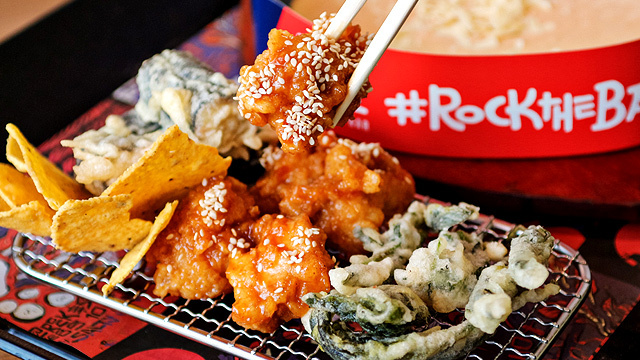 The spinach and nachos are just as expected, and the cheese tends to overpower the Korean fried chicken—but we're not complaining. The Kimcheese rolls, however, hold their own, and would still work wonderfully even without the fondue. 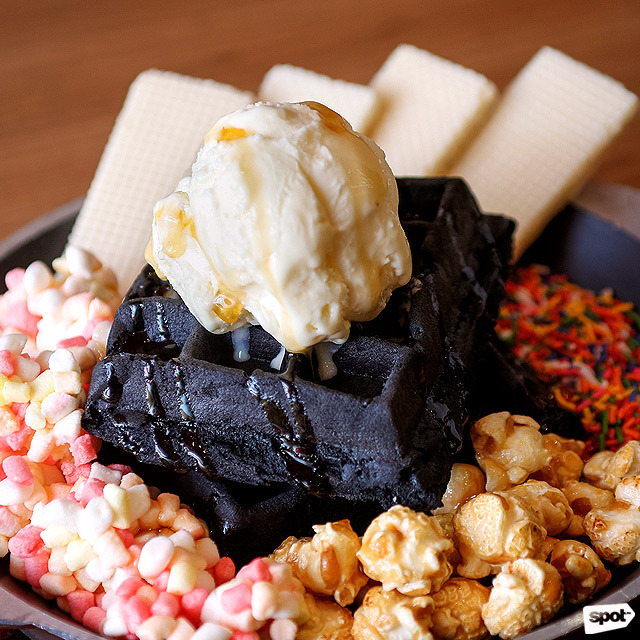 You're in for a treat when you try their Instagram-worthy Charcoal Waffles (P185). The charcoal accent provides a pleasurable twist to the waffles. You can taste a very slight hint of charcoal and feel some grain upon biting and chewing. The dish is also served with candy sprinkles, caramel popcorn, marshmallows, and crispy wafers. Topped with a scoop of vanilla or green tea ice cream, it’s the halo-halo of waffles, a unique play of texture and flavor. 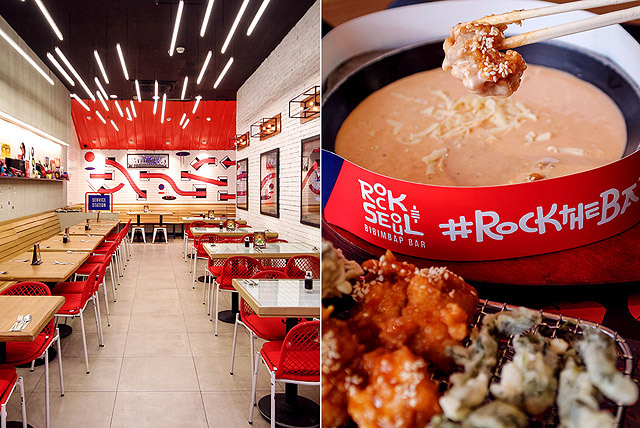 Rock & Seoul’s new items will give you more reasons to keep coming back. 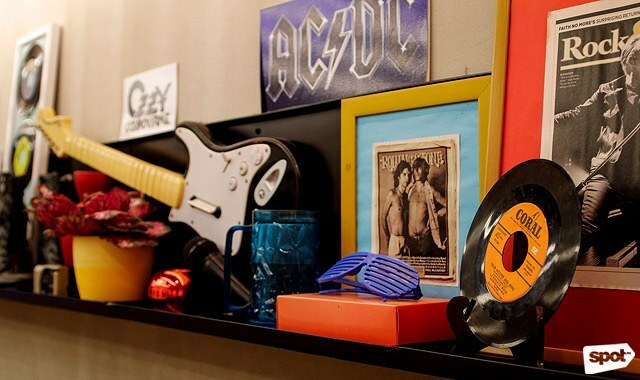 They’re not just rocking the Bap anymore. They’re rocking the Korean food boat.